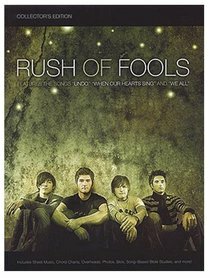 Rush of Fools formed in 2005, traveling as a simple worship band and writing songs together. Something that had started out as a hobby quickly expanded into a long-term mission and calling, which led them to record their self-titled album in 2007. After their song "Undo" received airplay across the nation, their part-time career quickly evolved into a full national touring schedule. Subsequent albums include: Wonder of the world (2008), We once were (2011) and Carry us now(2014).